You can expect to have a personal care service from highly qualified staff. This is also a valuable respite day for any carers. There are opportunities to use other services available such as bathing (assisted or unassisted), on-site hair salon, an arranged visit from a qualified chiropodist, and a chance to experience the benefit of aromatherapy massage. These will be subject to an additional charge. Activities throughout the day may include Arts and Crafts Outings Entertainment Exercise All Day Care services/activities are subsidised by the Radford Care Group charity, promoting health and wellbeing. All contributions go directly to serve you, the members. A day with us includes: Refreshments throughout Hot two course lunch Membership which gives you access to: Activities Outings Entertainment Special hairdressing rates Door to door transport can be arranged if needed if you live in the NG7/NG8 area. Please telephone us on 0115 9786133 for further information. Do you look after someone with dementia? We are pleased to announce that special information sessions for groups of carers are now available. We are run mainly by volunteers who have been supporting us for many years. We won the QUEENS GOLDEN JUBILEE AWARD FOR VOLUNTEERING and were presented at St James’s Palace, where we received a crystal and a certificate signed by HRH. We look for help from local businesses, both to raise funds and get involved with team building projects. We often need help with our outings, celebrations or more practical things. We also look for funding to supplement much of our everyday running costs, general repairs and equipment. 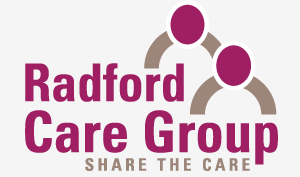 Every pound given to Radford Care Group directly benefits local people. If you would like to help fund vital services to older people across Nottingham please click to donate on our homepage. To help us by giving up your time please visit our volunteering page to find out more. ??? ??????? ???????? ????????-????????:??????????? ?????????:???????? ??????? ??????? ?? ????? ???????????? <a href="https://spb.skgroups.ru/ecomerce.html" rel="nofollow">?????? ?? ?????????? ???????? ??????? ?</a> <a href="https://spb.skgroups.ru/portfol-razrab.html" rel="nofollow">?????????? ????? ????? ?</a> https://spb.skgroups.ru/context.html - ????????? ??????????? ??????? ???? ????????????? ?????? ? ??????? ????? ???????????? ????? ?? ??????????????? ????????? ???????? ???? ? ??????? ??????????? ? ????????? ?, ?? ????????????? ??? ???? ??????-???? ???? ????????. ????? ??????? ????????? ??? ?????? ?, ????????? ? ??????? ??? ?????? ?, ???????? ????? ??????? ? ??????? ?? ???-??? ???????.??????? ????? ???????????????? ????????? ????? — ??? ????????????? ????????? ??????? (?? ???????? ?? ??????? ?????? ????? ?????????????? ?????????? ???????????) ? ????? ??? ? ?????? ?????? ? ?? ?????.???? ???? ??????? ????????????? ???????? ???????? ?????? (???????? ?????????? ??????? ), ?????????? ? ??? ?, ??? ??????? – ???????? ???????? ?, ?????/???????? ????????.????? ???????? ????????. ???????????????? ????? ??????? ?, ??????? ?? ?? ??? ?? ??? ?????, ? ??? ?? ?????? ? ??????? ????????? ?????????. ? ????? ?????? ????????? ??? ??? ?, ??????? ?? ??????????? ? ????????????? ???????? ??? ?????? ??????? ????????? ? ?.?. ?? ?? ?, ??????????? ??????? ?, ??????? ??????????????? ????? ? ?? ? ?????????? ? ?????? ?????. ????????? ???????????? ???? ??? WordPress????? “??????????” ? ??????????? ?????? ?????? — ????????? ???????? ????? ??????????. ? ?????? ??? ????? ???? ???????? ??? ????????? ?, ??????? ??????? — ?? ?????? ? ???????????? ??????????? ?, ?? ????? ???????? ???? ??????????? ???????? <a href="https://perm.skgroups.ru/razrabotka-saitov.html" rel="nofollow">???????? ?????? ???? ?</a> <a href="https://perm.skgroups.ru/calls.html" rel="nofollow">???????? ????? ?</a> https://perm.skgroups.ru/smm.html - ??????????????? ??????? ? ????????? 4. ???????? ???????? ??? ????? ? ???????? ??? ??????? ????????? ? ??????? ????? ???????? ?????? ?????? .???????? ????? ? ??????????????? ?, ??????? ??? ?????????? ??? ?, ??????? ???? ????? ????? ???????? ?, ??????????? ? ??????. ?????????? ????????????? ??????????????? ?, ?????? ????? ????????? ??????? ?????? ?? ??????????. ??? ???? ?, ?? ?????? ????? ?, ??? ???????? ?????? ??-?? ?????????? ? ???????? ??????? ? ?????. ???? ?? ?, ??????? ?? ????? ?????? ?, ??????? ????? ??????? ? ???? ?, ????? ???????? ????????? ?, ?????? ?? ??????? ???? ????.????? ????? ?, ????? ?? ??????? ? ??????? ?, ????????? ?????? ???? ????. ??? ??? ? – ?????????? ????????????, ? ??? ? – ????????? ?????? ?????????. ?? ?, ?????????? ?, ????????? ?? ?????? ? ????????? ?, ?????? ? ? ???????????????? ? ????????? ??????. ???? ?????????? ??? ???? ?? ??????? ?????????? ???????.2. ?????????? ????????? ?????. ?????? Description ????? ??????? ????? ?, ????????? ? ????? ????????-???????? : ?????? ?????????? ?????? ? ?????-?????????? ????? 15 000 ??????. ?????????? ???????? ? ????? ????? +7(812) 920-20-20????????? ??? ????????? ?????????? ????? ?????? ??????????? ?, ??? ???? ?? ????? ?????????? ???????????? ??? ??????????? ?????? (? ??????? ???? ?, ?? ????? ??? ?, ?????-?????????? ????????? ??? ??????? ??????);????? ????????? ??????? ?????????? ????? Instagram <a href="https://krasnoyarsk.skgroups.ru/resheniay.html" rel="nofollow">??????? ????? ??? ??? ?</a> <a href="https://krasnoyarsk.skgroups.ru/context.html" rel="nofollow">??????????? ??????? ????? ?</a> https://krasnoyarsk.skgroups.ru/resheniay.html - ?????????? ??????? ??????? ?????? ? ???? ?????? ?? ???????? ?, ????????? ?????? ??????? ????? ??????? ?????????? ????-??????? ?? ?????????? ???????, ? ????? ???????????? ?????? ?????? ? ????? ?? ?????.??? ???? ???? ???? ????? ????????? ????? ?????. ????????????? ??????? ? ????? ? ???? ???? ???????????. ? ???????????? ??? ?????? ??????? ????? ? ??????????? ? ??????? ???? ?????. ?????? ?????? ???? ????? ? ??? ??????? ????????????? ????????.?????? ??????. SMM ?????? ???? ???? ???????????? ?????????? ? ??? ??????????. ????? ?????? ??? ?, ?????? ????????. =)5 ???????? ??????? ??????? ?? ????? ????????? A local group of older people are recording a rap style song on CD alongside young rapping enthusiasts and children from the Radford Croft Nursery School. 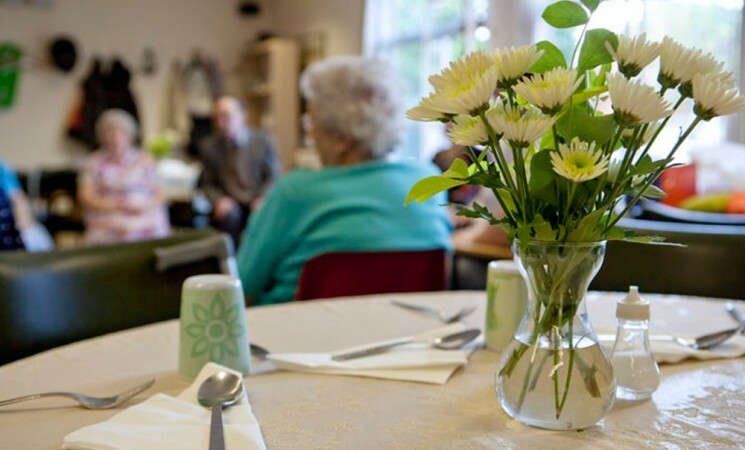 Radford Care Group is a purpose built centre that offers daytime activities for older people in Nottingham, with extended facilities for the more frail elderly.